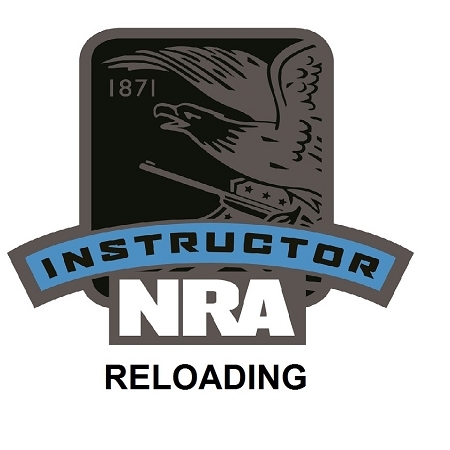 This class is the NRA Basic Metallic Reloading Instructor Class. This teaches the students how to teach the knowledge, skills, attitude necessary to safely reload metallic cartridges. This course is fourteen hours long. This teaches the student how to teach reloading safety, centerfire cartridge components, using the reloading manual and reloading data, equipment, and the metallic cartridge reloading process. Students will receive the instructors manual, NRA Guide to Reloading Handbook, the Basic Reloading Student Exam, a course completion certificate, NRA Gun Safety Rules brochure, etc. The price doesn't include BIT.